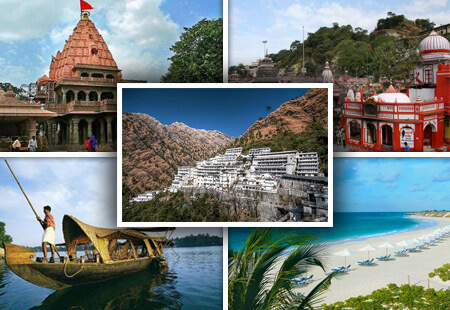 Taj Tour and Travels is one of leading travel agency in Gorakhpur (U.P. India). 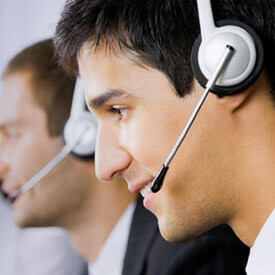 We are the most reliable and trusted name in Gorakhpur (U.P. India). Taj Tour and Travels offer tour packages for Religious places, Historical places and most beautiful places in India, Nepal and Bhutan. We also manage your Corporate tours, Domestic and International tours, Group tours in India and Nepal. 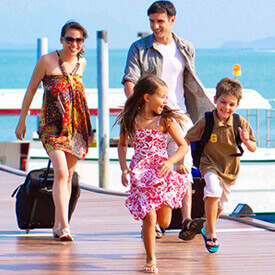 Taj Tour and Travels provides all kind of A/C and Non A/C vehicals. 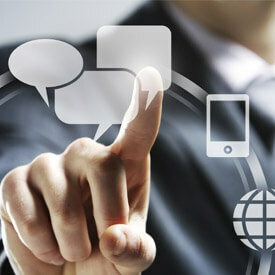 We also provides domestic/International Hotel booking, Air ticket booking, Cab booking A/C and non A/C in India and Nepal. Taj Tour and Travels also manage your customize tour package. India, it is often said, is not a country, but a continent. Stretching from the frozen summits of the Himalayas to the tropical greenery of Kerala, its expansive borders encompass an incomparable range of landscapes, cultures and people. Walk the streets of any Indian city and you’ll rub shoulders with representatives of several of the world’s great faiths, a multitude of castes and outcastes, fair-skinned, turbanned Punjabis and dark-skinned Tamils. You’ll also encounter temple rituals that have been performed since the time of the Egyptian Pharaohs, onion-domed mosques erected centuries before the Taj Mahal was ever dreamt of, and quirky echoes of the British Raj on virtually every corner. As a leading travel agency in gorakhpur Taj Tour and Travel proud to serve his customer all type of tour packages in India. Nepal is the very watershed of Asia. Squeezed between India and Tibet, it stretches from rich subtropical forest to soaring Himalayan peaks: from jungle tiger habitat to the precipitous hunting grounds of the snow leopard. Climbing the hillside of one valley alone, you can be sweltering in the shade of a banana palm in the morning, and sheltering from a snowstorm in the afternoon. Nepal’s cultural landscape is every bit as diverse as its physical one. Its peoples belong to a host of distinctive ethnic groups, and speak a host of languages. They live in everything from dense, ancient cities erupting with pagoda-roofed Hindu temples to villages perched on dizzying sweeps of rice-farming terraces and dusty highland settlements clustered around tiny monasteries. Religious practices range from Indian-style Hinduism to Tibetan Buddhism and from nature-worship to shamanism – the indigenous Newars, meanwhile, blend all these traditions with their own, intense tantric practices. 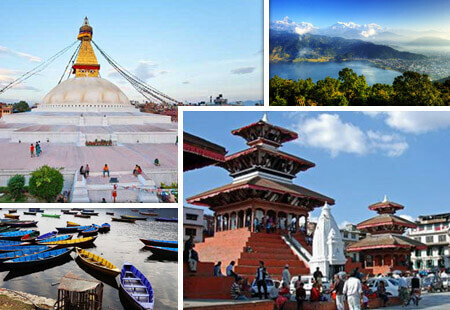 As a leading travel agent in gorakhpur Taj Tour and Travel proud to serve his customer all type of tour packages in Nepal as a Muktinath tour package, Nepal tour package from Gorakhpur, Pokhara tour, Janakpur tours, Kathmandu tours etc. 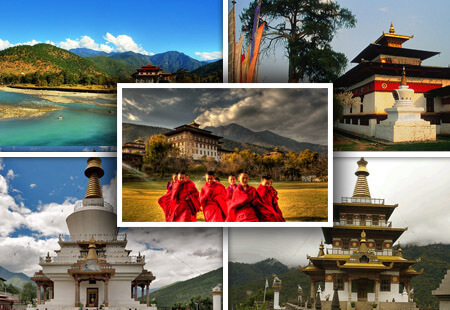 The tiny kingdom of Bhutan shares with Nepal the world's greatest concentration of mountains and living heritage of Buddhism. Flight to Paro can truly be described as a flight into fantasy. During the flight, a first hand close up view of Mt. Everest, Mt. Kanchenjunga and other famous peaks of the Himalaya range become a reality. As a leading travel agency in gorakhpur Taj Tour and Travel proud to serve his customer all type of tour packages in Bhutan.